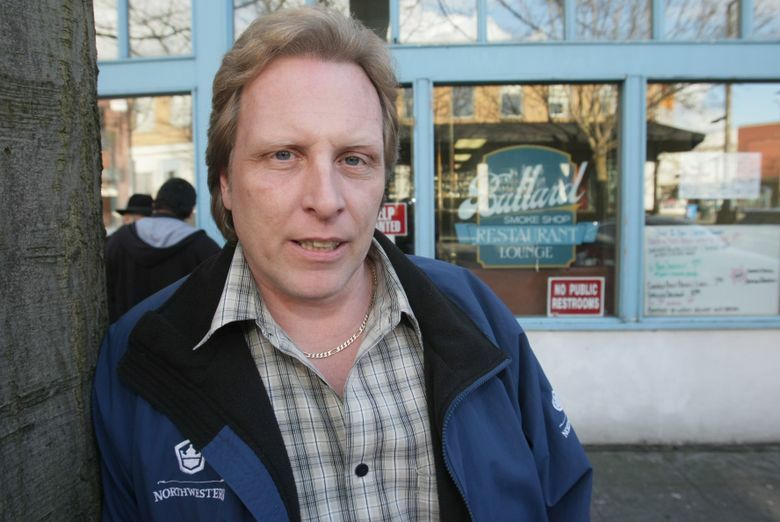 Celebrity boat skipper Sig Hansen pleaded guilty to assaulting an Uber driver on Norway’s Constitution Day in Ballard. 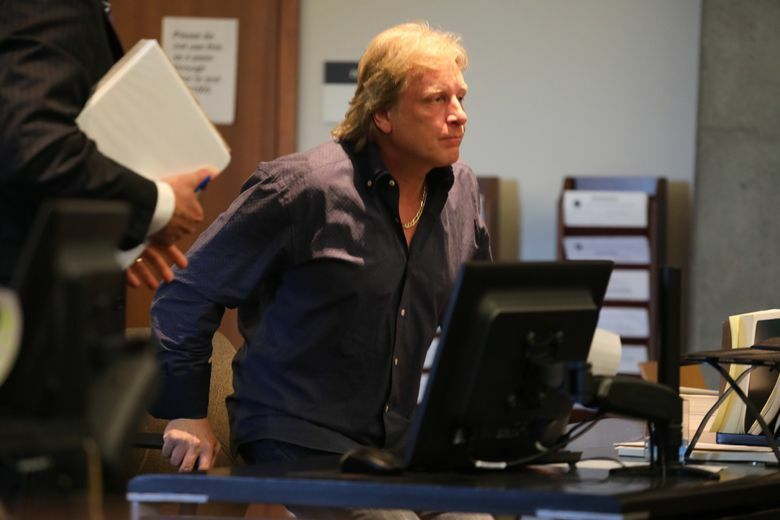 Celebrity fishing-boat captain Sig Hansen pleaded guilty Wednesday to a misdemeanor charge that he assaulted an Uber driver after a night of drinking last year, but a judge who raised concerns about Hansen’s alcohol use postponed sentencing until next month. Hansen’s guilty plea came under a deal in which Assistant Seattle City Attorney Barbara Serrano agreed to drop a separate property-destruction charge against him. Under the arrangement, the city recommended Hansen receive 40 hours of community service and pay restitution and court costs, but he could also get his conviction dropped and the case dismissed as long as he stays out of trouble and complies with other court conditions for a year. But Seattle Municipal Court Judge Edward McKenna, voicing concerns about Hansen’s drinking, wasn’t ready to accept that recommendation Wednesday. “I would question the information in that evaluation,” McKenna said. The judge ordered Hansen to undergo a new drinking evaluation and rescheduled sentencing for June 28. McKenna also asked the city to provide more details about a 2008 disorderly conduct charge in Alaska against Hansen during the hearing next month. “This agreement allows me to close a key chapter in an unfortunate situation that got out of hand. It is a significant step toward putting this issue behind me and getting back to what’s important — my family, friends and career,” the statement said. He had been celebrating Syttende Mai — Norway’s Constitution Day — in Ballard with his family last year before his encounter with Uber driver Waheed Lawal. According to a Seattle police report, Hansen became angry with Lawal after Hansen’s party canceled a ride while it was underway through Uber’s digital app. After Lawal informed them they couldn’t pay with cash and stopped to let them out of the car, Hansen and his son-in-law, Clark Pederson, allegedly spat on Lawal’s head and the back of Lawal’s seat. Hansen then got out of the car and kicked and dented it, the police report said. Officers arrested an intoxicated and belligerent Hansen a short time later outside of his Shoreline home during an encounter caught on police video. Hansen was booked into jail and charged with misdemeanor assault and property-destruction and later publicly apologized. A misdemeanor assault charge against Pederson, a crew member on Hansen’s crab-boat, later was amended to harassment, court records show. Earlier this year, he similarly agreed to deferred prosecution, receiving community service and fines. 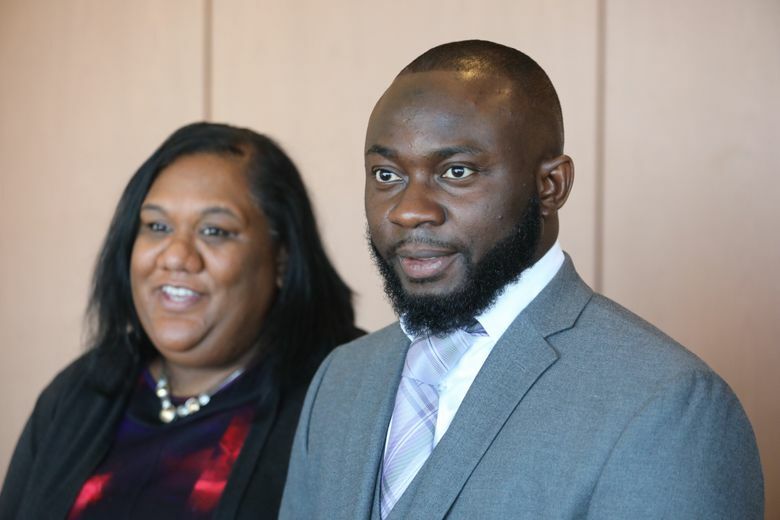 Lawal attended Wednesday’s hearing with his wife, Tara, and his lawyer. He has separately sued Hansen and Pederson for assault and battery. After the hearing, Lawal’s attorney, Harry Schneider, said Hansen’s guilty plea “370 days since the incident” was an “important step” to resolving the matter. Schneider noted Lawal is a recent immigrant from Nigeria who was frightened and made to feel unwelcome during the encounter with Hansen and his family. Lawal’s civil case against Hansen is scheduled for trial in August. Hansen faces other potential legal troubles. The state Court of Appeals is considering arguments over a King County judge’s ruling that would allow a sexual-abuse lawsuit brought by his estranged daughter, Melissa Eckstrom, to proceed to trial. Eckstrom claims her father sexually abused her as a toddler, while her parents were divorcing about three decades ago.